I’m just starting to read the book Born To Be Good by Dacher Keltner. It’s about the rather novel idea that we might actually be good at heart at a biological level. This might come as a bit of a shock to Sigmund Freud and some religious figures who assume that we are, at heart, self centred beasts only interested in meeting our own needs. The book starts with a description of “jen”. Jen is a concept invented by Confucius 2500 years ago. It describes a mixture of beneficial qualities that can exist between people including: kindness, humanity, respect, awe. The description of Jen that Keltner gives really caught my eye. “Bringing the good things of others to completion” sounds to me like a pretty good definition of therapy / counselling / teaching or any kind of people helping. That these good things can be brought to completion – what lies hidden and unused can be fully developed. That the job of the helper is to release and nurture what is already there. This is a profoundly optimistic point of view and what I strive to embody in my work. Unfortunately, this train of thought led me to think of some of the therapists and counsellors down the years who did not seem to be “people of jen”. Rather than bringing the good in people to completion, they had some other agendas at work. Ego – a desire to be recognised as someone important, skilled and talented – helpers where the helping relationship is all about how good they are. Power – using their clients as part of a power game, training them to be obedient and dependent followers. Sad to say, I’ve met a few people who’ve fallen into these categories; people who I would rather run away from than talk to about anything important. These thoughts reminded me that many years ago, when I was doing a teacher training course, I read a great book called “Teaching As A Subversive Activity” by Neil Postman and Charles Weingartener. It is a radical take on what education should be. Re-reading it, it seems even more relevant today than it did back in the 1970’s when it was written. One part of the book sticks in my mind, it was a 16 point check-list for an interview process for aspiring teachers. A process for identifying the kind of people who would help their pupils grow, i.e. people of jen. 9. Require all teachers to undergo some form of psychotherapy as part of their in-service training. I know that many counsellors and therapists have to undergo therapy as part of their certification. I don’t know if the focus of the therapy needs to be on the reasons they want to be people helpers, but I think that might be a very fruitful line of enquiry. 14. Require each teacher to provide some sort of evidence that he or she has had a loving relationship with at least one other human being. At the time this seemed to me to be a good way of winnowing out people who may have been using teaching to meet their “non- jen” needs. Now it seems to me that these recommendations would a useful way to discover if would-be therapists, counsellors and other people helpers where “people of jen” – oriented to the good of their clients rather than their own. Born to be Good is a new book, if you follow the link in the article you can get to it on Amazon or you may find it at your local book shop. first thing: I find out about your articles from LinkedIn, which is a bit hit or miss for me. Is there some way to sign up for updates? “Teaching is a subversive activity” was one of the main reasons I went into teaching! I found it a really inspiring book… wonderful to have chapter in a book about teaching called, “crap detection” – if I remember correctly. I actually bought the book again recently. I think it was available secondhand through Amazon. And they talk about the good old days…! I wonder if it was ever possible to redeem an upbringing like that? 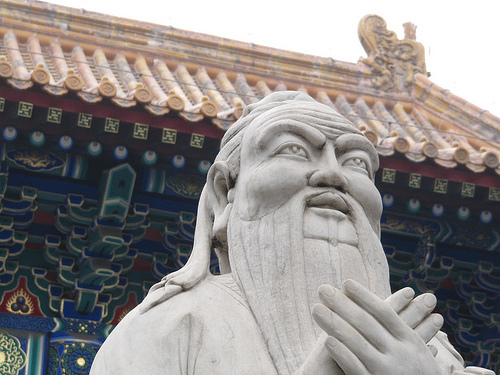 We have a lot to be grateful for in the ready accessibility of the wisdom of the East. And in the people with fully functioning, shiny, untarnished crap detectors who have steered us away from the mythology of original sin. Thanks for a comment that I easily as good as the original article! To answer your first question, you can sign up for regular doses of my wit and wisdom (if I have any) using the little RSS / EMAIL button at the top of the website page. It’s nice to meet a fellow appreciator of the Subversive Activity book. It made quite an impression on me and IMO we could make good use of better crap detection. We must be channelling book choices because I also have Robert Bly’s Little Book Of The Shadow and agree that the exuberance suppression that went on then (and goes on now) is probably responsible for a whole lot of trouble. Not surprisingly I think it is possible to redeem that kind of upbringing or I wouldn’t be in the line of work that I’m in. That’s not to say that it might take a fair bit of work to undo all that programming, but I do think it can be done. I remember hearing that the Dalai Lama had to have the idea of self-condemnation explained to him several times before he got it, obviously a condition that is not very prevalent in his neck of the wood. I think it would be a state of grace to accept oneself and have a shiny new crap detector. I’m still working on that. Thanks for a very stimulating comment.